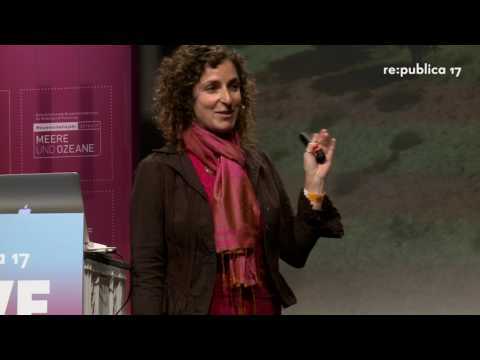 Aurélie Shapiro is the remote sensing specialist for the World Wide Fund for Nature (WWF) Germany in Berlin. Aurélie's principal tasks are to coordinate remote sensing for all of WWF, by integrating and applying innovative satellite and aerial remote sensing for conservation projects worldwide. Aurélie received a Master's in Environmental Management from Duke University's Nicholas School of the Environment in 2001. She spent the next 6 years with the National Oceanic and Atmospheric Administration (NOAA) Special Projects Office, as a coral reef remote sensing specialist, and joined the Conservation Science Program at WWF-US in 2007. In 2010 she came to Germany to lead the development of a national forest carbon map for the Democratic Republic of Congo (DRC) derived from airborne LiDAR and satellite imagery. She has stayed in Berlin to strategically manage WWF's remote sensing efforts from the WWF-Germany headquarters, where she is now known as a Satellitenfernerkundungsspezialistin. At the same time, Aurélie is working towards her phD on the topic of forest degradation with the Geomatics Laboratory at Humboldt Universität zu Berlin.